Bakuryu Sentai Abaranger is Naruhisa Arakawa's first job as a headwriter. He was known to have started with some Jetman episodes that got mixed reception but later became involved in better episodes post-Jetman. Now it's time to throw a review for the second dinosaur Super Sentai. Abaranger's story deviates from Kyoryu Sentai Zyuranger. It features that millions of years ago and no, not in Zyuranger's setting, a huge meteor hit the Earth splitting it into two. There's Another Earth (our world according to this series) and Dino Earth. Dino Earth has been sucked up dry by the Invasion Garden Evorian and they're heading towards our world. Asuka of Dino Earth (perhaps from the Japan of Dino Earth) shows up and tries to get three people with the Dino Guts. 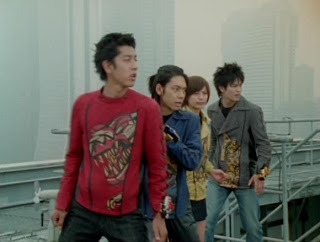 During that night, he finds Ryoga Hakua (Abare Red), Yukito Sanjo (Abare Blue) and Ranru Itsuki (Abare Yellow). At first, I didn't really get interested with the series due to the fact I'm not too used to having three at the start. It was atypical but years later when I checked it out, I figured out that it really had some interesting characterization Zyuranger didn't have. The three of them were selected based on their Dino Guts. As the characters develop, they find more and more of the Bakuryus or talking dinosaur mechas. Each one of them do the multi-gattai similar to Gaoranger but in their own innovative fashion. The villains take a bit of the Vyram concept minus the power struggle in most of the chapters. The Evorians have destroyed Dino Earth's resources turning it into a whole barren desert. 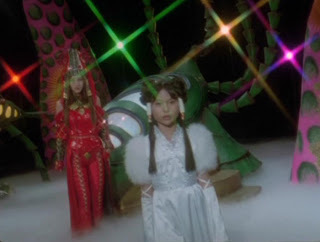 During the Dino Earth War, one character serves as the show's version of Maria namely Jannu. Jannu is the estranged wife of Asuka whose former identity was Mahoro. During that time, the unseen but frequently heard villain Dezumozoryla brainwashed her as one of his servants. Their aim is to soon turn Dino Earth into another barren desert and perhaps they'll move forward to another dimensions.The villains involved in Abaranger are mostly comedic like Zoffa and Voffa. Both of them release monsters either known as the Trinoids (combination of plant, animal and inanimate objects) or the Giganoids (giant monsters sort of like the Mecha Giants in Bioman). Later we'd get the evil sixth ranger in the character of Mikoto. Unlike Burai in Zyuranger, Mikoto is mostly a villain for the series known as Abare Killer. Cruel and uncaring, he's also a bored villain who really hurts people for the sake of it. He's a literally game-changing villain in more than one level. The more I thought of him appearing, he made Abaranger even better than when it started. He even had the guts to boss the Evorians around when he got more powerful than he did. Later, there's a deep dark secret that reveals to why he's become more and more twisted like... WHY ON EARTH DID HE WANT TO DESTROY EARTH BY CRASHING JUPITER ONTO IT? I thought he was the best villain of this series had to offer. He was really one who really had so many chances of redemption and yet he refused to do so. The series was Naruhisa Arakawa's first main entry as a Super Sentai head writer. Seeing how he managed to pull off as the head writer of Kamen Rider Kuuga, it was no surprise he did better in this series. So Arakawa was also involved in Jetman which may explan why certain events were similar. Then again, he wasn't involved in Bioman yet one of his Megaranger episodes paralleled with one of Hirohisa Soda's episodes in Bioman. I could say both in writing and production, Abaranger managed to improve the dinosaur theme that Zyuranger left behind. 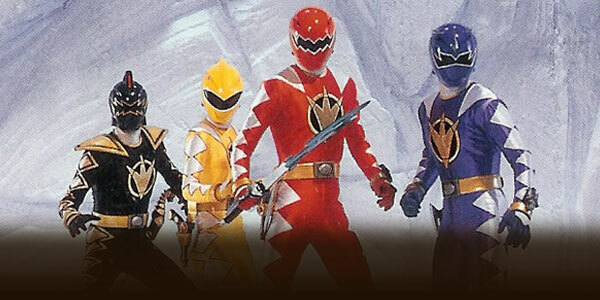 Zyuranger was more focused on fantasy world RPGS than dinosaurs. Abaranger managed to handle the dinosaur theme better even if action-wise, I felt Zyuranger was much better in the stunts department. What also amazes me is that instead of being shown during Kyoryu Sentai Zyuranger's 10th anniversary (2002), it ended up getting shown on Mighty Morphin' Power Rangers' 10th year anniversary (2003) which was also two years after the second Jurassic Park movie. Did Toei want to commemorate the 10th year that they entered into the United States via Power Rangers? Maybe or maybe not. Did they want to celebrate Jurassic Park's tenth anniversary at the time? I really am just left to a lot of speculations to why it happened. I would really say that it's probably brilliant planning to celebrate Toei's entry into the American audience. Another ten yearslater, we have Kyoryuger would end up celebrating MMPR's 20th anniversary.